While many of our customers are knowledgeable about our LoggerNet datalogger support software, not as many are familiar with LoggerNet Admin and the benefits it can offer. In this article, I’ll introduce you to LoggerNet Admin, show you how easy it is to install it as a service, and explain the advantages of running LoggerNet Admin as a service. In this article, I will focus on running LoggerNet Admin as a Windows service. A service is an application running on a Windows PC that automatically runs in the background when the computer is powered on. Quite often, Windows services do not have a user interface, and users may not know that the service is running or be aware of the task that the service is performing. 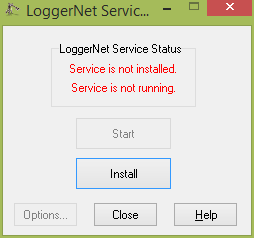 Note: You must be logged on to the computer as an administrative user to configure LoggerNet Admin as a service. Now, click the Start button, and the LoggerNet Admin communications server will run as a service on your PC. Anytime your PC is powered on, the LoggerNet communications server runs in the background doing the work it has been set up to do. The LoggerNet communications server carries out scheduled data collection, image file retrieval, and any tasks set up in the Task Master. It is also ready and waiting for data logger call-backs that are set up. These actions will occur regardless of which user is logged in to the computer—or even if a user is logged in. As long as the PC is turned on, the jobs that you rely upon LoggerNet to complete are performed without interaction from you. 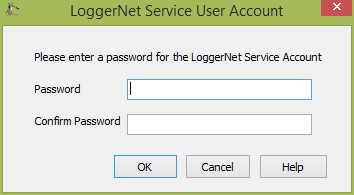 When you do need to interact directly with your data loggers, you can still open the LoggerNet Admin Toolbar and do all the things you are accustomed to doing, such as viewing current data using LoggerNet Admin’s Connect window. 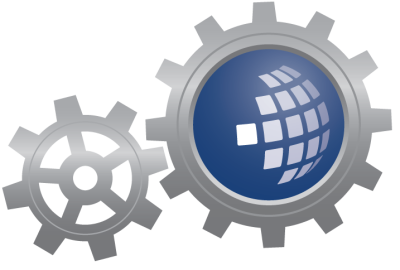 By running LoggerNet Admin, you can help ensure continuous data collection from your network of data loggers. It’s especially useful in applications where the availability of your data is important to the success of mission-critical operations. Recommended for You: To learn more about this data logger support software, visit our LoggerNet Admin web page. Do you currently run LoggerNet Admin as a service, or if not, do you see how running LoggerNet Admin as a service could be useful in your work? If so, leave a comment and tell me about it!